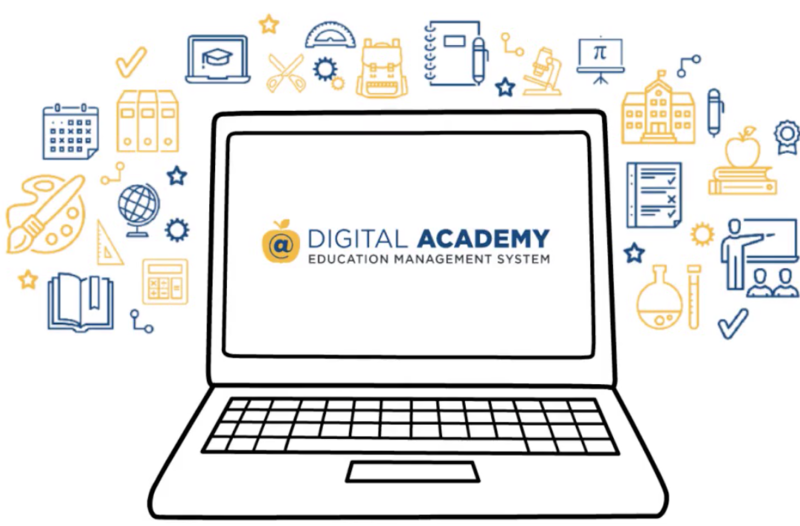 Just like every other week, we interview a new guest who is working to close the digital skills gap – these guests are professors, school administrators, or business leaders who are lighting the path to digital transformation in their industry. Last week, we talked to Dennis Schiraldi, the founder and organizer of one killer event: DOYO Live. 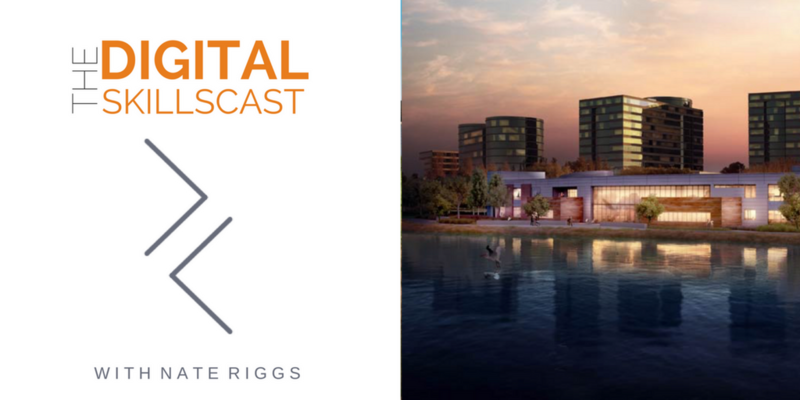 DOYO Live is a digital marketing and interactive design conference in Youngstown, Ohio, and this week’s episode was recorded live from the opening reception with remarks from Youngstown State’s own President Jim Tressel. 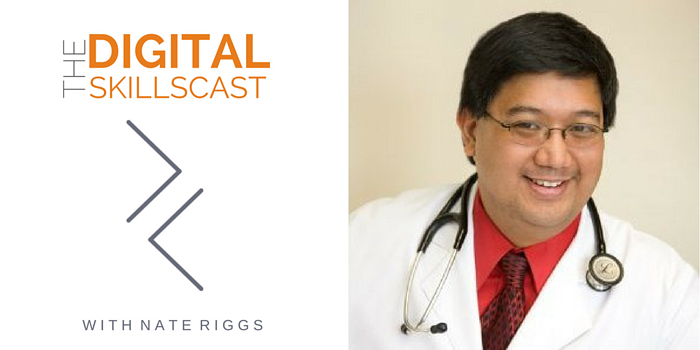 This week’s guest has not only been helping patients and families as a physician with the Family Practice Center of Salem, but he has also been leading the charge in digital in health care and family medicine industry as an influencer and thought leader. Dr. Mike Sevilla is a Family Physician (or Primary Care Physician) and Social Media Enthusiast who lives in Salem, Ohio, and works at the Family Practice Center of Salem and Salem Regional Medical Center. Dr. Mike Sevilla’s parents immigrated to Youngstown, Ohio, from the Philippines and he’s been here ever since. He attended Youngstown State University and Northeast Ohio Med for medical school and he now is a physician with the Family Practice Center of Salem. Youngstown sits in the Rust Belt of the United States where there’s hope in the community to revive the downtown area, the community and Northeast Ohio in general. There is a lot of hope that it can be the town that it was thirty years ago. Dr. Mike travels all over the world, helping to teach other physicians about social media literacy. He started blogging as an anonymous writer in 2005 with "The Doctor Anonymous" blog. He went in with curiosity about whether or not other doctors were using the same blogging platform to tell their own stories. Mike believed that if he wanted to make an impact on his industry, he needed to reveal himself through his blog. A lot has happened since he first began blogging, but the medical community is finally slowly beginning to embrace digital communication. Though it seems like many other industries have caught up, Dr. Mike is hopeful that the medical field will begin using digital communication and social media to talk about health and medicine. In 2011, he made the decision to rebrand himself and change from “The Doctor Anonymous Blog” to the “Family Medicine Rocks” website. It started to pick up a lot of traction and Dr. Mike was even lauded by Dr. Glenn Stream, the President of the American Academy of Family Physicians Congress of Delegates, as the "King of Family Medicine Social Media." He wanted to communicate to his colleagues that you have to embrace digital skills in health care and social media in order to communicate with patients, legislatures, and the community. Once he positioned it as free marketing and pointed out that patients were already on their cell phones in the waiting room, it clicked for everyone else. 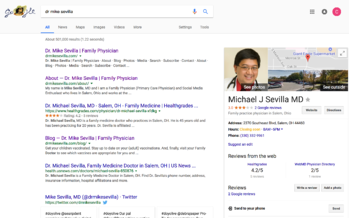 Dr. Mike rebranded once more in 2013 to drmikesevilla.com knowing that in order to build his brand, he needed to get his site out there. This is how he introduces himself to patients and a majority of his patients come to him and say that they Googled “Salem Ohio Primary Care” and his name was at the top. They listen to his introduction about himself and after liking what they hear, they come to his practice. Although the majority of patients come in thanks to word of mouth, this is another way to generate business in Northeast Ohio. There is a lot to be careful of in terms of Patient Health Information, HIPPA compliance, and a lot of other regulatory considerations, but Dr. Mike is well aware of this. When he is asked to do a talk, the main thing that other doctors want to hear about is the danger associated with digital communications and social media. The top reason that doctors refrain from conforming is liability, not wanting to potentially get sued, and the cost to make sure it doesn’t happen. Physicians cannot control how patients rate them or what they say about them on Yelp. When someone searches for a physician, reviews are going to be in the results unless your website is there to speak for you. Clinics, hospitals, and even nurse practitioners are all on Yelp, so they need to know their social media footprint. 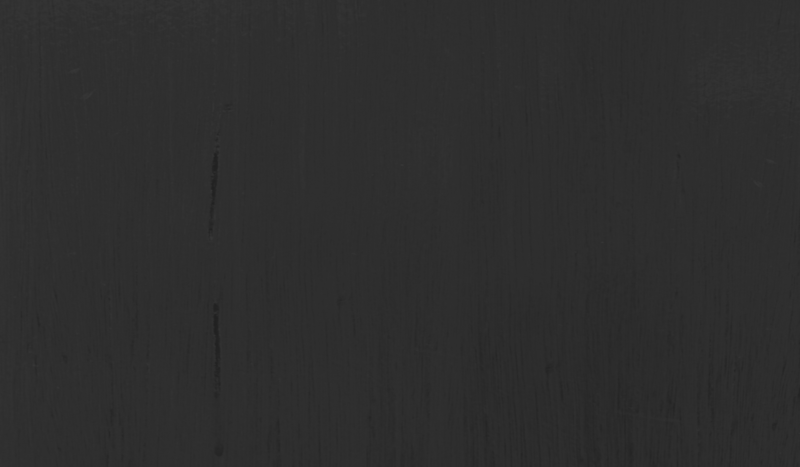 They need to be proactive– not reactive – in order to keep their reputation up. Everything that Dr. Mike knows about digital skills in healthcare is completely self-taught. His advice to those who are in search of bringing their practice online? Start by Googling your name to find out what patients are saying about you. Then you should try to figure out where your patients are in the social media world. Most of the time they're on Facebook, so start there. Create a page for your practice or clinic and find someone who can manage it for you. Encourage your patients to post an honest review on your page. 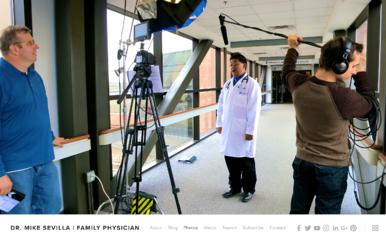 Healthisprimary.org is a communications campaign to advocate for the values of family medicine. Their aim to demonstrate the benefits of primary care to engage patients in the healthcare system. Dr. Mike previously spoke about this in his TEDx Talk at Youngstown and highly encourages those in medicine to watch and learn. Did you know that over 100,000 deaths could be avoided each year through an increase in the number of primary care physicians? Or that an increase of one primary care doctor per 10,000 people can decrease the cost of unnecessary care that people receive? There’s more information on that in his TEDx Talk, which is beneficial for even those not in the medical industry. Dr. Mike ended by giving us three main reasons as to why he is on social media. The first reason is patient education. The second one is alleviate myths. The third is advocacy. He believes every American deserves a primary care physician, and his social media presence has afforded him numerous opportunities to get his message out in a positive manner.